As a former federal prosecutor, Barbier has the experience you need, because in the courtroom there is no better advantage than having been on the other side. Deborah Barbier graduated from the University of South Carolina School of Law in 1994 and was honored to be chosen for two judicial clerkships – one in South Carolina state court for the Chief Judge of the Fifth Judicial Circuit, and then for a federal United States District Court judge. During these clerkships, Barbier got a behind the scenes look from the judge’s chambers. In 1996, Barbier was appointed an Assistant United States Attorney. From 1996 until 2001, Barbier started and led the U.S. Attorney’s Office Affirmative Civil Enforcement (“ACE”) Division where she successfully prosecuted multimillion dollar False Claims Act cases against hospitals, physicians, defense contractors, durable medical equipment suppliers, dentists, and pharmacies. In 2001, Barbier began criminally prosecuting violent crimes, drug trafficking, and white collar crime. In 2003, Barbier was chosen by the United States Attorney to lead the Asset Forfeiture Unit. During her tenure, she and her team seized and forfeited millions of dollars from drug traffickers and white collar criminals. In 2007, Barbier was asked to lead the White Collar Crime Section in the District of South Carolina. She prosecuted hundreds of white collar criminals while supervising all of the white collar crime federal prosecutions in the Columbia, Charleston, Florence and Greenville offices. In 2011, Barbier left government service and went into private practice. Her practice focuses on federal and state criminal defense, Qui Tams/False Claims Act actions, and business litigation. Barbier has successfully litigated countless criminal and civil cases over her twenty four year career in the state and federal systems. Her cases have been wide-ranging and diverse and she has significant trial experience. In August 2018, Barbier obtained a full acquittal for her physician client in a two week federal healthcare fraud prosecution. Barbier represented the alleged ringleader in a four year high profile public corruption investigation. In December 2017, her client had all charges dismissed. In 2017, Barbier obtained the largest attorney fees award in the history of the District of South Carolina under CAFRA after getting a full dismissal of the case and all of her client’s seized monies returned. In September 2015, Barbier obtained an Order dismissing a federal qui tam complaint alleging healthcare fraud. Barbier was on the prosecution team in a high profile, public corruption RICO prosecution against a county sheriff who received a 17 year federal sentence. Barbier prosecuted multiple public officials in numerous public corruption initiatives which have resulted in the convictions of high ranking public officials and law enforcement officers. Barbier prosecuted the Director of Finance at the South Carolina Department of Social Services who conspired to steal more than $5 million dollars from the State of South Carolina in addition to more than one hundred check cashers. Barbier prosecuted a defense contractor who billed the Department of Defense for more than $20 million dollars. Barbier prosecuted the first cockfighting case in the country under the revised Animal Welfare Act against 27 cockfighters. Barbier represented the government in a qui tam lawsuit against the largest teaching hospital in the state under the False Claims Act which resulted in a multimillion dollar settlement. Barbier prosecuted several multi-million dollar per diem fraud cases under the False Claims Act involving defense contractors. Barbier prosecuted and convicted seven physicians at a pain clinic for the distribution of Oxycontin. 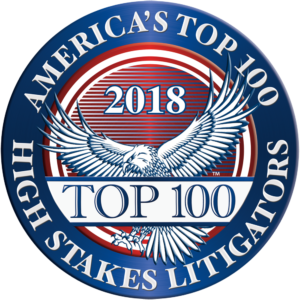 2012 – 2019 Included in the Best Lawyers In America, 19th Ed.